​ that will enhance your business practices. ​This page is dedicated to you, if you are interested in using our services. It gives you some insights on what to expect in order to make our association flow efficiently. By reading this page you will know how to prepare for our first meeting. Our initial meeting will comprise of talking about your ideas, the duration of the work completion, the deliverable and payment for services (which will include several options). For each first hour of local consultation a fee of $40 will be assessed to you. This is to compensate for our time and to guarantee that you are serious about entering into a business arrangement. 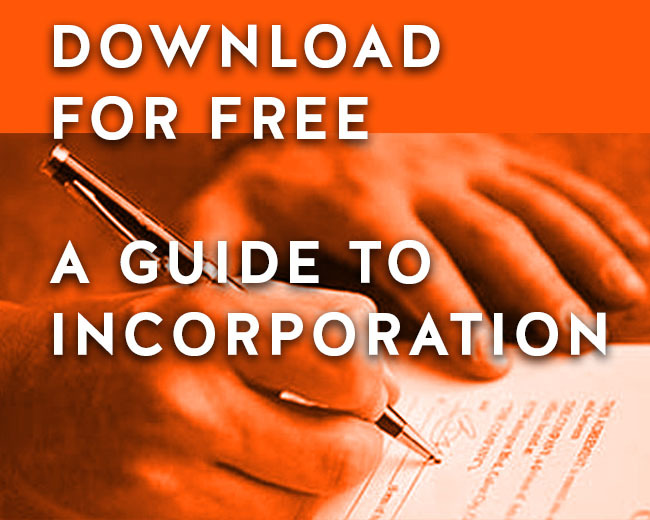 After we have met and reached an agreement to enter a business relationship; the initial consultation fee may be included in your total billing. After an agreement for the project to go on, both parties will sign a contract. ​Generally, you will either be charged a flat fee or by the hour. You will be required to pay half of the total cost up front and the remaining half upon the completion of the work. If you make your payment on time you may be eligible to receive a percentage 10% off your total cost. At the same time if you choose to make the full payment at a later date you may be charged extra. This will all be discussed in depth at the first meeting. A business relationship like any good relationship is a two-way street. As Designers, we expect to be given the freedom to create a great design that will not only provide a solution but also have an aesthetic appeal that will enhance your business. We will make our best effort to incorporate any ideas you bring to the meeting that will work with the design. We will defer to your judgment in decisions that involve your business which you have more expertise than us. Besides that, we may have to turn down your business if it involves something which is deemed immoral/unethical or just plain bad design that may not be in best interest of your business nor reflects the quality of work which we are proud to stand behind. This is because creative works that are done for clients reflects back on the designer and no one wants to have a reputation for doing poor work. Before coming to the first meeting it is important to consider who your design work is for. This simply means, is the design strictly for your personal taste (e.g. a Tee shirt designed for you to wear and you really don't care what anyone else thinks about it?) or are you needing a logo designed for your local business? In the first case, you have more freedom and the final design will most likely be designed 100% with you in mind. However, if you are designing a logo for your local business that is supposed to generate income for you by getting customers to approach you; then it becomes less about what you want and more of what works to achieve this goal. Which is why you have hired a design professional to do the work for you. An example would be if you are someone who loves the color pink and would want to paint your car dealership pink. It may create the impression that it's a "women only" dealership, thereby reducing your clientele in half by excluding the men, even if that wasn't your intention. As a designer, our job is to create a design that will send the right message and help your business grow even if it's contrary to your personal tastes. It would help us to know what matters more to you. Your personal taste or what works. The best case scenario is to find elements of your personal choices that will work within the overall design for your business. Here are a few things to consider, so that our first meeting will be productive. We would recommend asking yourself a few of the questions below. If you don't have any idea, that's alright, we can either figure it out together or you can entrust us with the whole operation. Often times people say I want everyone to patronize my business. We can understand that sentiment since the rationale is that more clients, more sales. The fact is that 80% of your sales will come from your target audience. So, we want to design to appeal to them first and foremost. What do you know about your target audience? What appeals to them etc? What goals are you trying to achieve through this design? What kinds of message do you want to convey? Bring helpful info about your target audience. Bring examples that appeal to you (be sure to let us know why it appeals to you). You can bring prints or save links or point us to where you saw the example. Have you set aside a budget for the project? Do you have a week or 2 to make yourself available for the project? Will you be needing a photographer or videographer? Have you gathered the relevant organized content? This may include the copy, pictures, videos, testimonials (reviews). We hope you found this helpful in preparing for our first meeting. Send more traffic to your website or your offer. Yes, you need us to do all that hard and fancy design work. However, this is still one big team effort. We will need you to supply us with the contents for your design. You can refer to back to this page or you can simply download the attached check list below. Let's get this done. ​Navigation Menus list: For example Home, About Me, Contact Me, Blog, Services, Packages etc. A list of navigation menus you want to see on your site and the contents. Contents of each menu: Send us a word document or e-mail if you prefer with contents to go into each page. Contents may consist of proof read texts, high resolution images (otherwise we have to use stock photos). These menus are the individual pages of your website. Send the contents as a word document. Label each section (menu) and its content accordingly for clarity. • Social media address for each account; example www.facebook.com/uzodesign Twitter, LinkedIn etc. It is advised to have a separate social media account for your business than for your private one. • List of features you want to see on the site. Examples of such features may include chat, rating & reviews, donation, counter etc. • If you need hi-resolution stock photography a photographer could be hired for you. However, you would have to pay his/her fees. The other option is to create an account on www.bigstockphoto.com they offer a free 7 day trial. • Deposit to start project: It is usually about half of total cost. (Acceptable payment methods are credit cards, PayPal (be sure to create an account if you don’t have one), money order and check. ​Items needed to design your logo It would be best to leave the creative process to us. However, if you feel the need to have a say and be involved in the process; then the following will be needed. •Your primary target audience: Example Caucasian basketball players between 19-25 years old, who live in the suburbs. •Links or images of logo types and styles you would like yours to look like. •Objects or things of value that you want included in the design. •Contract to sign (will be sent to you later). •Deposit to start project: It is usually about half of total cost. (Acceptable payment methods are credit cards, PayPal (be sure to create an account if you don’t have one), money order and check. Too busy to read this now? Simply download the file below and read it later. Need logo style ideas? Download and browse through these awesome logo book or visit our logo section on our identity page. ​If you need design for any other thing such as flyers, posters, apps, brochure and more. •Document size, material type and where it will be used. For example A decal on a glass door . •Your primary target audience: Example Young basketball players between 19-25 years old. •Links or images of lifestyle you would like yours to represent. ​•Contract to sign (will be sent to you later). •Content: Text, pictures and a brief summary of the narrative hoping to be achieved with the finished design. If you don’t have pictures a photographer can be provided for you but you will have to pay him/her for their service. The other option is to use stock photography. Simply sign up with www.bigstockphoto.com they offer a free 7 day trial. You can also use images from www.unsplash.com. •Contact information: Time, dates, venue, sales copy, tagline etc. Please select the item that corresponds to the project that will be worked on. If further explanation is required, please use comment field below. Enter any helpful comments here. We used UZO Design to create a multi purpose brochure for a large high school reunion with 475 attendees. From initial consultation , process and final product, everything was smooth and painless. A tremendous value and on time. My experience with Uzo as my web designer was excellent, because he provided me with great customer service. 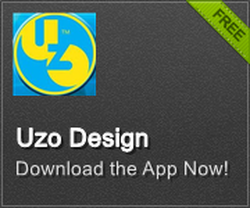 I would totally recommend Uzo Design. Here are some resources that will help you improve your marketing efforts, gets leads and increase sales. ​Here are some crowd funding resources for your next project. Looking for a life changing experience?